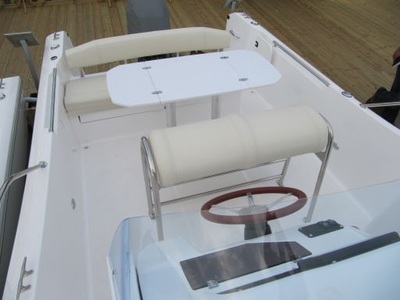 IN STOCK TODAY. 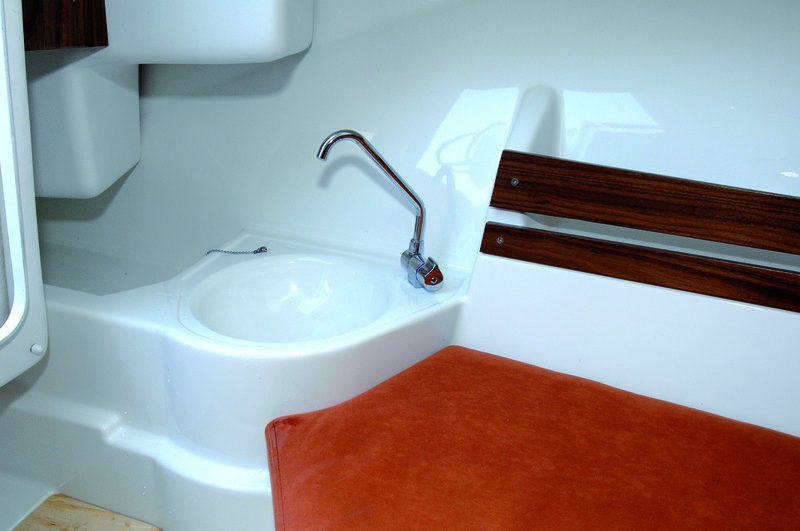 Spacious 23ft family weekender with cuddy cabin featuring optional freshwater sink, stove, chemical WC and space for refrigerator, cabin sleeps two adults. 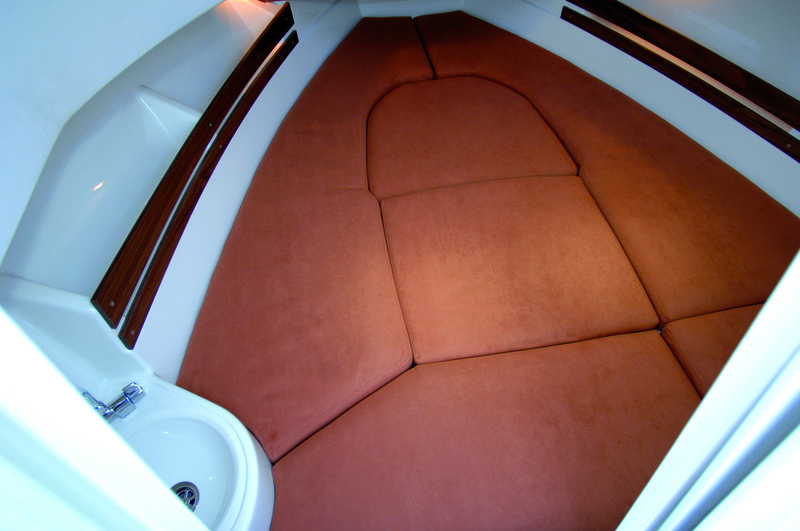 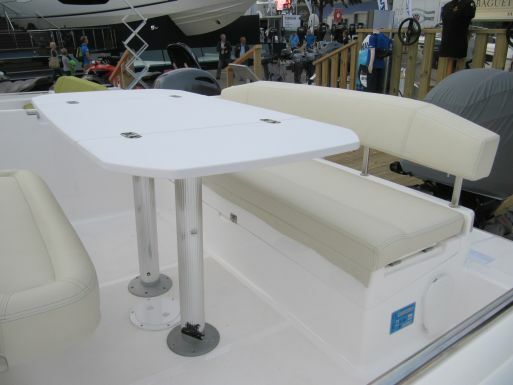 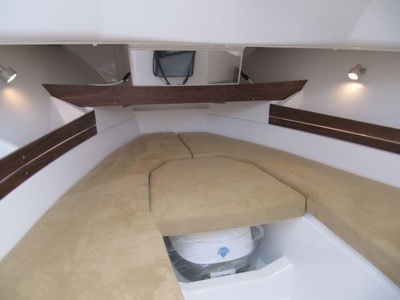 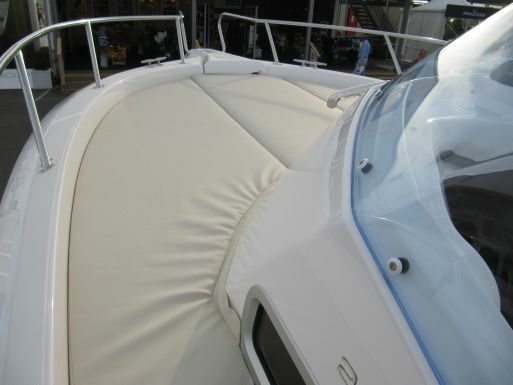 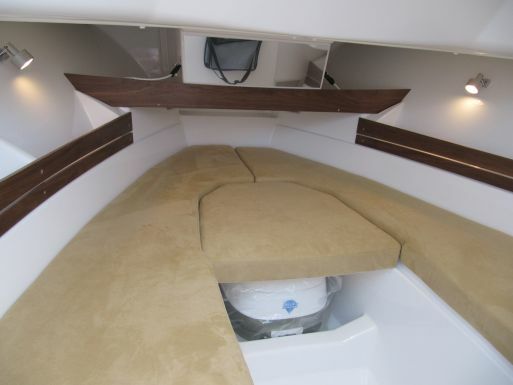 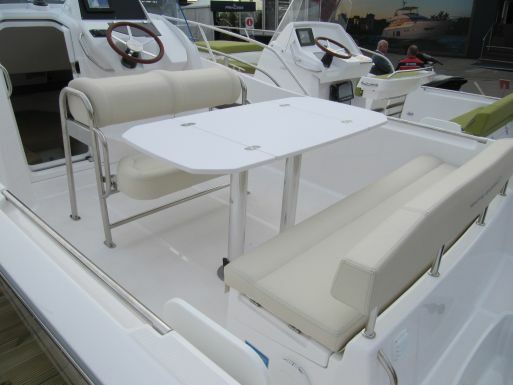 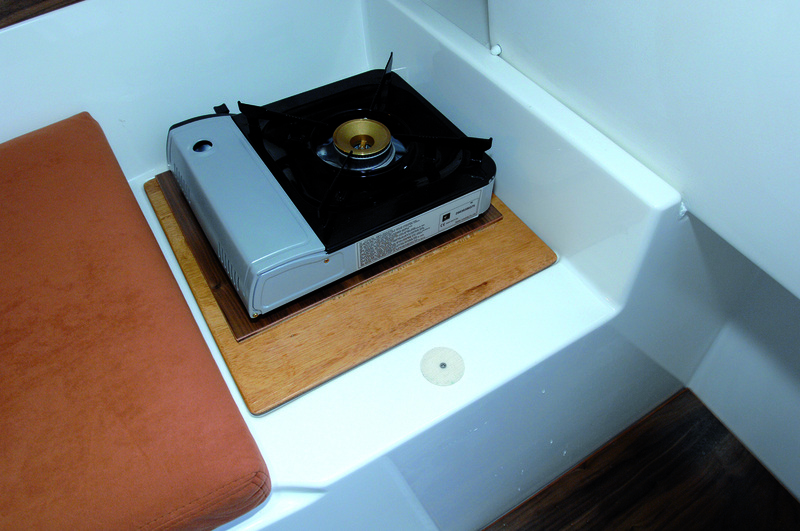 Large forward sundeck accessed from walk around steps either side of the high center console. 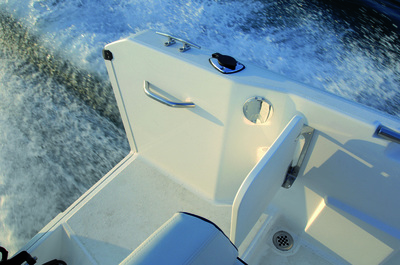 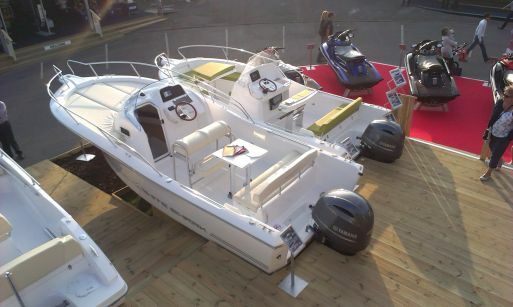 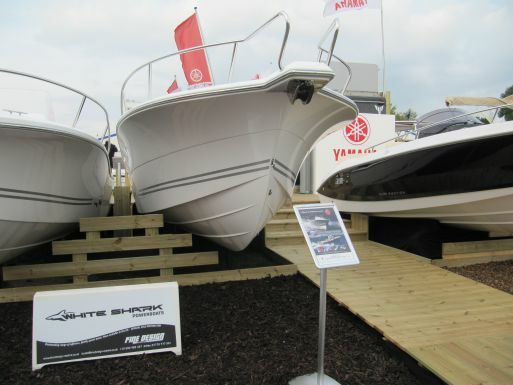 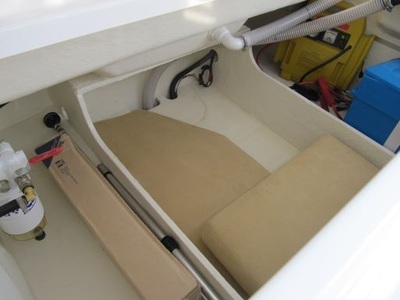 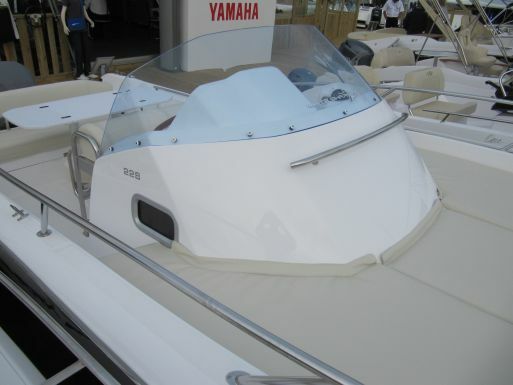 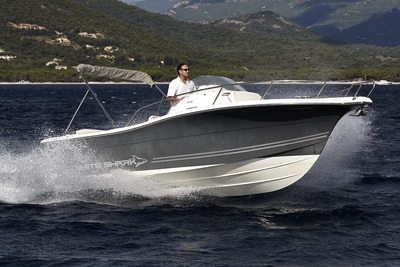 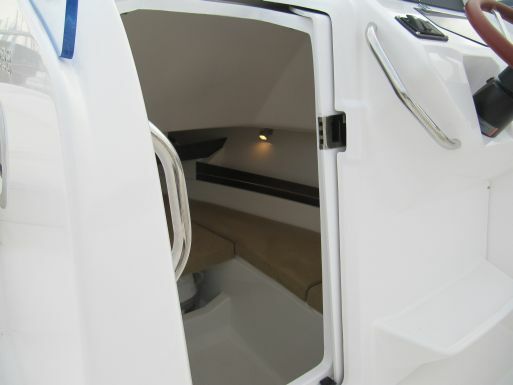 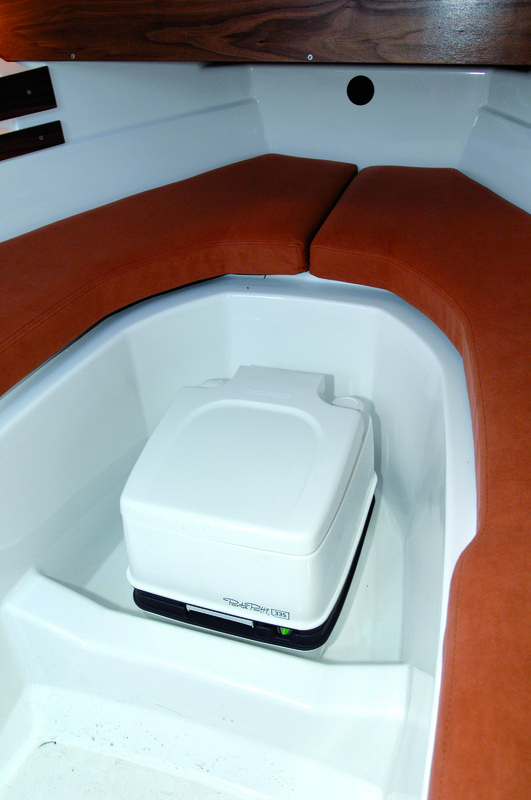 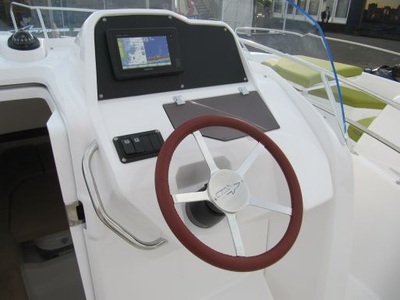 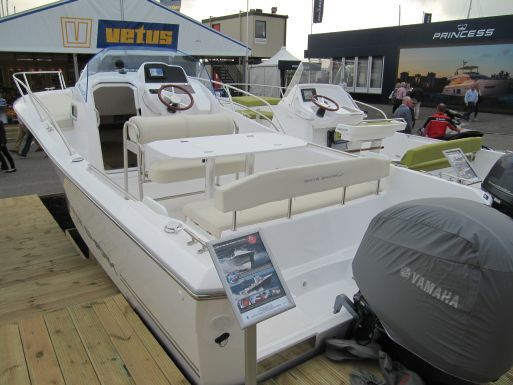 The boat features a deep cockpit and high bow rails with transom door for added security. 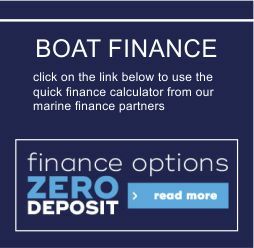 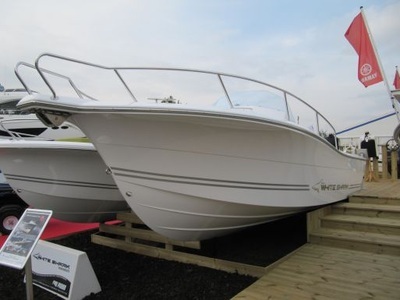 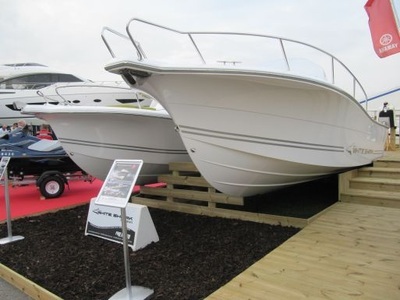 Large aft deck with comfortable seating for 5 plus removable picnic table, bimini shade and full fishing pack and / or waterski system. 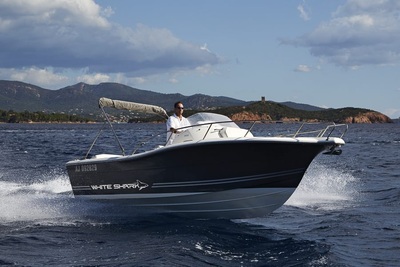 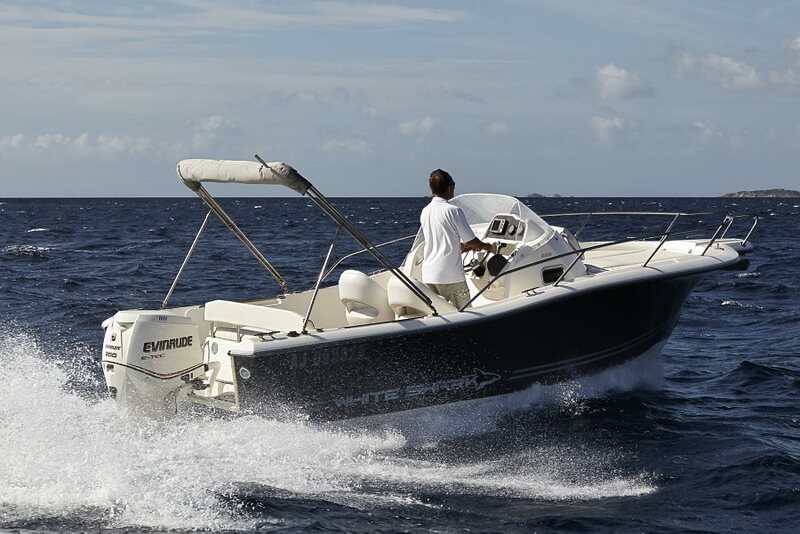 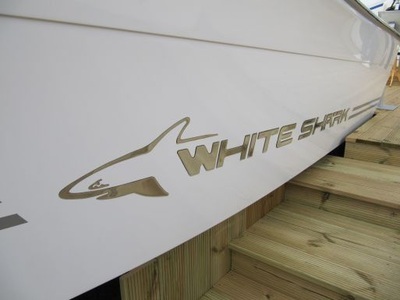 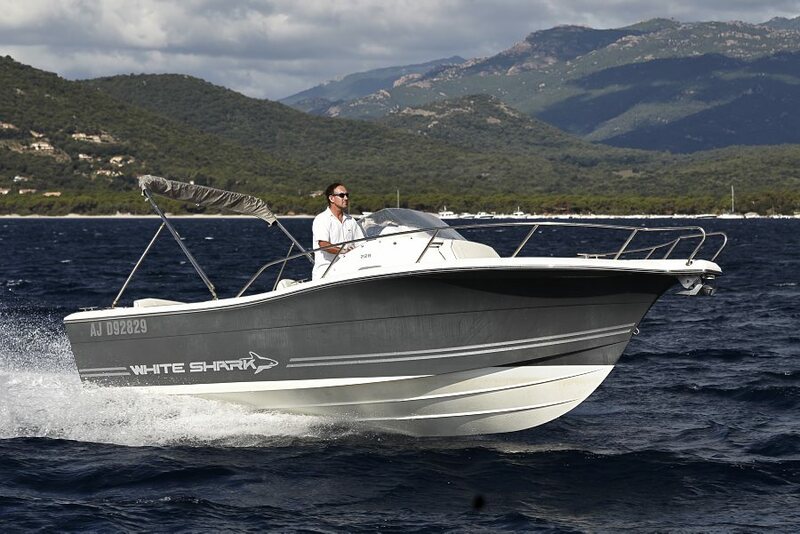 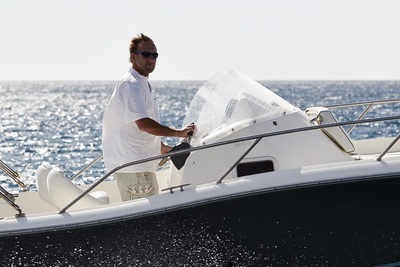 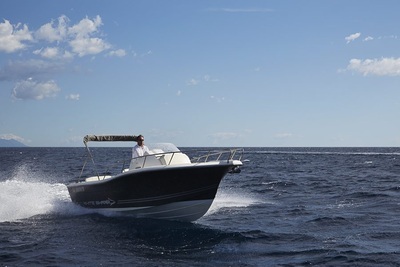 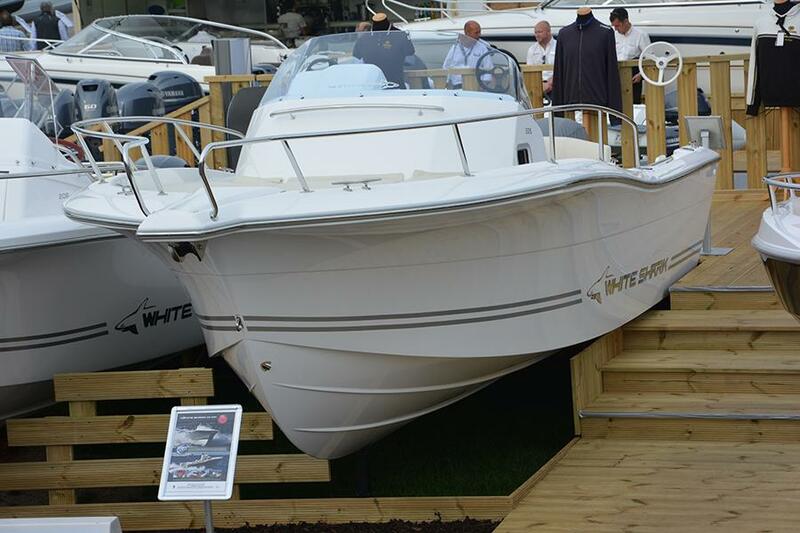 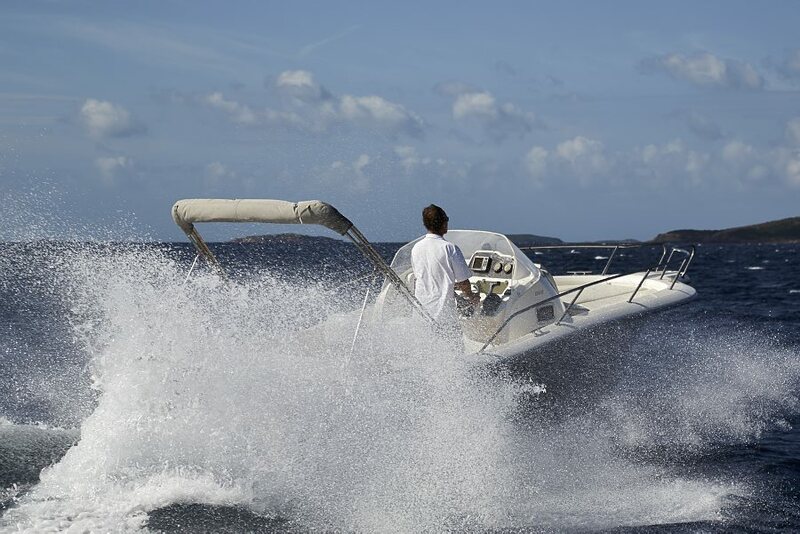 The White Shark 228 features the same, proven deep Vee hull and flared bow plus unsinkable sea keeping capabilities synonymous with the marque. Fuel tank capacity : 300 l approx. Fresh water tank capacity : 60 L approx.